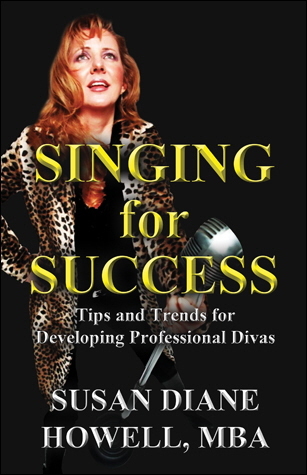 Great coaches around the world are shouting out that mindset is a safeguarded key to a successful singing career. 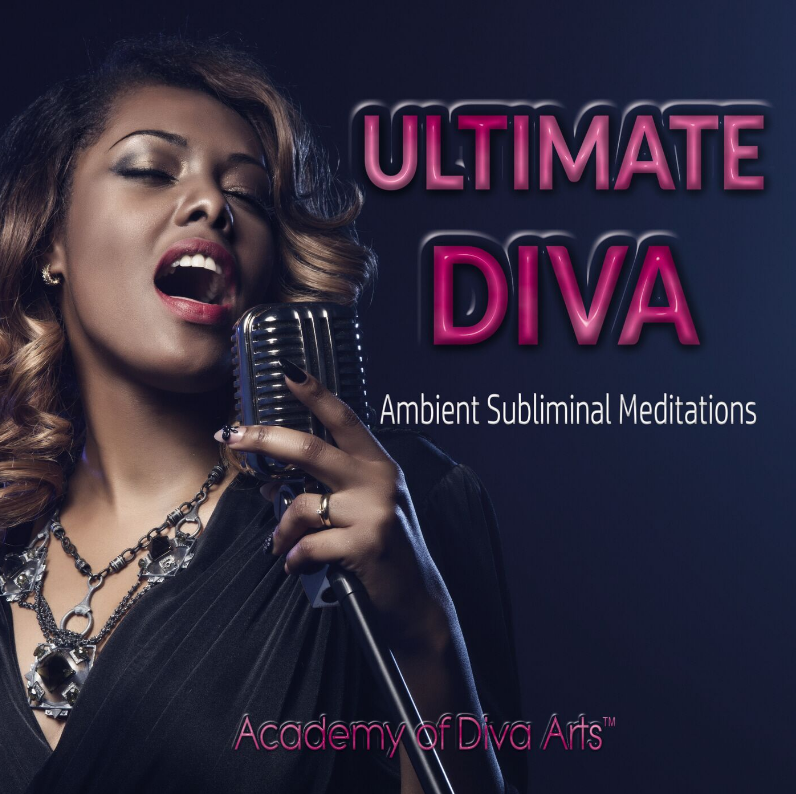 The Academy of Diva Arts answered the call with 2 great audio systems to awaken the star artist in You! Each collection includes a 10-disc series of 30-minute elevating affirmations and a companion 30-minute subliminal track for deep transformation. Never before has a total mindset awakening series been offered in the music industry for the star artist. 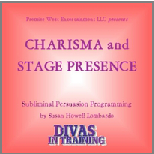 Academy of Diva Arts saw the blind spot and delivered the ultimate program for star character growth. Relax in the beautiful New Age music with hypnotic binaural pulses and calming waves. 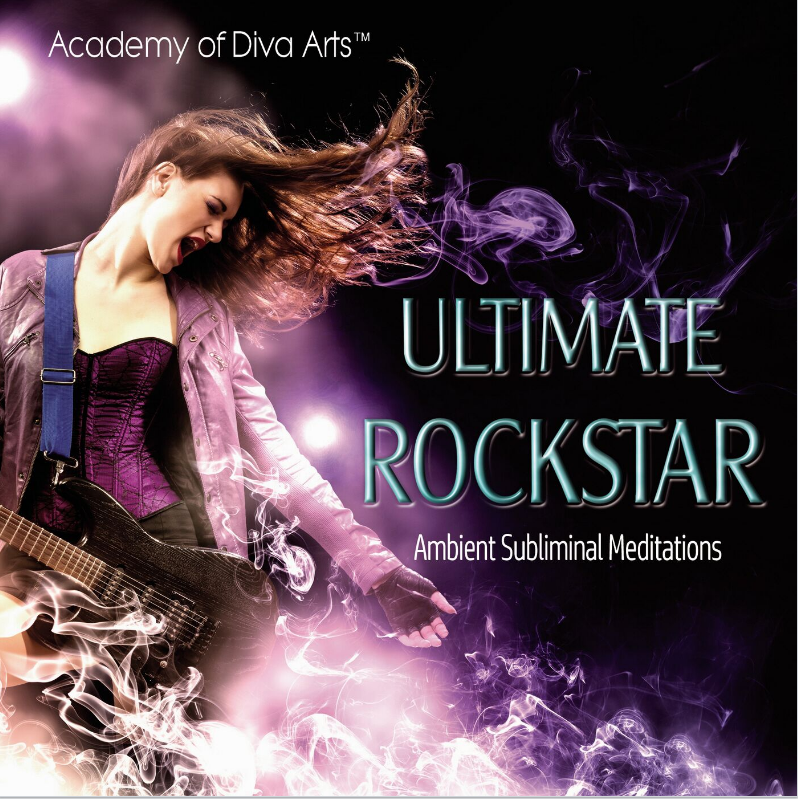 Ethereal meditations for Star Singer success. 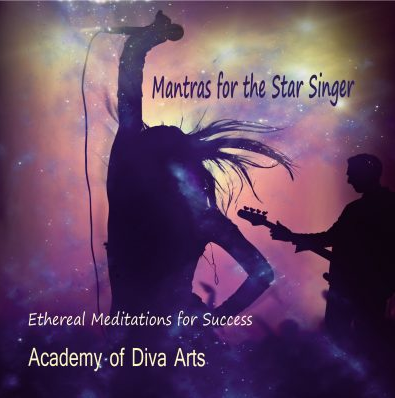 Mantras for the Star Singer offers two discs of 10-minute awakening journeys through the realm of infinite possibility. New Age relaxation music with dreamy affirmations, creative sound clips, binaural beats and subliminal undertones. What if this life could be Heaven? I have a masterful vocal instrument - My breathing is relaxed and effortless - My voice has unique tonal texture - My singing voice is melodic and expressive - My soul resonates through my singing - I am free from comparing my singing talents to the talents of others - I love, love, love to sing - I want to share my voice with the world. - I have a singing mission - My passion and purpose is to touch people with my singing - I sing fearlessly - I am a bold singing performer…and many more empowering affirmations. Creative and Confident Singer" My talents are abundant - My creative awareness is growing - My voice is free and expressive - I am naturally talented - My voice is a masterful and creative instrument - All vocal blocks are disappearing - My learning is accelerated - My voice is healthy and strong"...and many more empowering affirmations. “I am a powerful performer - My energy flows freely on stage - Audiences love my singing voice - Fear has no power over me - My voice and body are free on stage - I possess an enormous power and stage presence - I am developing a unique personal presence - My confidence as a singer grows with every performance - I want to share my talents with the world - I love applause and recognition”…and many more empowering affirmations. Commercial singing technique. 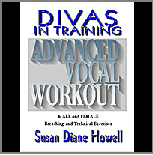 Advanced vocal workout for M-F singers. Breathing, range, flexibility, pharynx muscle strengthening, register blending and tonal quality enhancement. Traditional a cappella 4-part Christmas carols. Classic singing of favorite holiday standards. Victorian caroling at its finest. Singers, get ready for success! Learn how to become “Strictly Professional”. 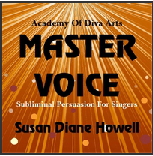 Master vocal coach and industry singer, Susan Diane Howell, MBA unravels the mysteries of a successful singing career. 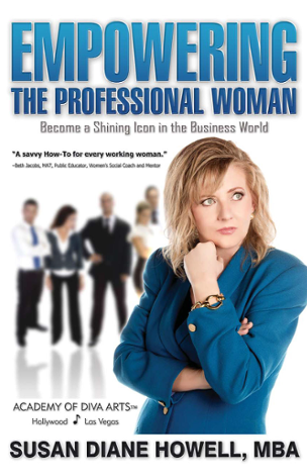 Become a shining icon in the business world! Understanding the rules of the professional leagues can ignite a woman’s lifetime dreams and propel her to the top of any industry she chooses. Women are excelling furiously in society like no time in human history. 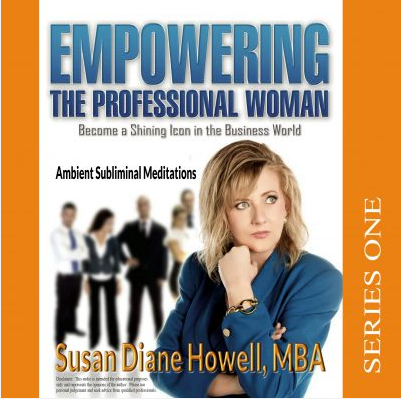 Savvy women are reinventing themselves to claim their share of success. Are you ready to join them?